The Georgia National Fair, Georgia's annual state-sponsored fair held in October, has won more than 80 awards from the International Association of Fairs and Expositions for its livestock and horse events, competitive exhibits, and communications programs since the Fair opened in 1990. Featuring family-oriented entertainment and educational fun, the Georgia National Fair showcases Georgia's agriculture, the state's largest industry. The Georgia National Fairgrounds site features over 1,100 landscaped acres including fountains, lakes, and gardens. In addition to top entertainment, competitions and all of the midway excitement of a state fair, the Georgia National Fair's Schoolhouse offers students on Educational Tours from throughout the state the opportunity to explore numerous educational exhibits and to enjoy an array of special Fair activities at no charge. 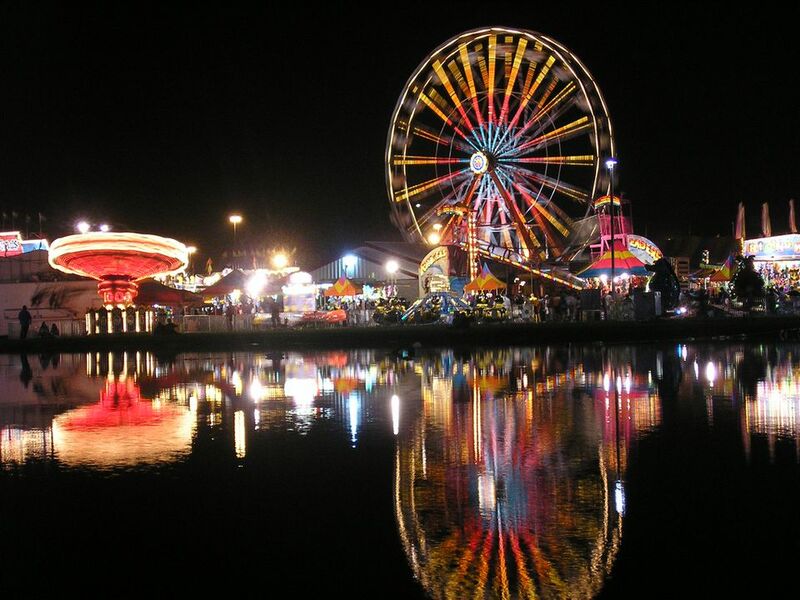 The Fair is located at 401 Larry Walker Parkway in Perry, Georgia. This popular fair has been a Georgia tradition since 1851, making it one of the longest-running fairs in the United States. Highlights include agricultural exhibits, amusement rides, contests and giveaways, entertainment, fair food, and much more. Held annually at the Georgia Mountain Fairgrounds, located in the North Georgia mountains along the shores of Lake Chatuge, this fair features musical performances, carnival rides, attractions showcasing North Georgia’s history, and culture. Attracting over 400,000 people from North Georgia and neighboring states, this fair, the largest fair in the metro Atlanta region, features flower shows, blue ribbon competitions, farm animals, local square dancers and singers, fair foods, free attractions and shows, and one of the largest carnival midways in the U.S.
Activities include a grand concert lineup, carnival midway with over 40 rides, Heritage Village for great educational fun, petting zoo and pony rides, racing pigs, and much more fun for all ages. Sponsored by the Exchange Club of Savannah, this annual fall fair offers entertainment, racing pigs, clowns, animal acts, midway rides and games, livestock and flower exhibits, and more. This fair features midway entertainment, live nightly shows, fireworks, an annual demolition derby, and more.